Roman Shades Made From Vintage Grain Sacks For The Guest Room! ﻿I am so pumped! I went from having no clue what to do for window treatments in the Guest Room, to having the best idea ever! Thank you so much to our awesome blog friends that gave us suggestions in the comments of our last post. A few of you suggested Roman Shades, something I hadn't considered at all, then an awesome idea popped in my head! 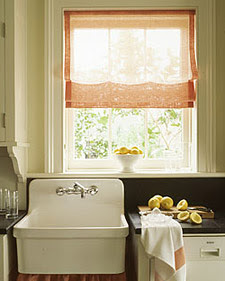 Make Roman Shades out of vintage grain sacks! Genius! A few weeks ago on one of my antiquing adventures I picked up 2 matching vintage grain sacks from Staples Mill Antiques in Stillwater. The price for each? Only $6.00!!! A total steal, especially for how clean and crisp they looked! I wasn't sure what I was going to do with them at the time, but I just had to have them because I loved their look. 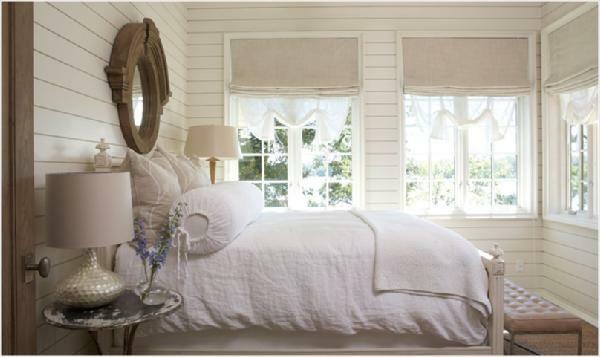 Roman Shades will be the perfect way to enjoy them! Here is a look at them unfolded. They are practically identical except for a small ID number that is printed near the top of the sack, but I love those kind of details! They both say "MaGill and Co; Fargo Seed House; Fargo North Dakota"
The width of each grain sack is 18", so I plan to open up the side hem and unfold them, bringing the total width of each to 36". Sadly, the 2 windows in the Guest Room are not the same size. One measures 28" and the other 34". For these DIY Roman shades I'm not planning on placing the finished product inside the window frame as I'd like them to sit outside of the frame similar to the ones in the photo below. I think it will look great and I won't have to cut any excess fabric from the grain sack (I don't want to destroy these little vintage gems!). ﻿ I am currently on the hunt for a good DIY tutorial on how to make these, so if anyone else out there knows of one let me know! I will also post a tutorial on how things go for me when I attempt to make them. Wish me luck! Here are a few other Roman Shade photos I found that used linen-like or grain sack fabric. Aren't they just gorgeous! Just light, airy, and chic! Voila! Repurposed Vintage Grain Sacks... Tutorial Coming Soon!